When the couple first walked into the affiliate three years ago, Marlo weighed 430 lb. Phil weighed 502 lb. When Phil sat on one of the rowers, the machine bowed under his weight. Once they joined, Marlo was thinking she would try her damnedest to be there three times a week, and owner Chuck Makatura gave Phil an XL T-shirt—the largest he had. 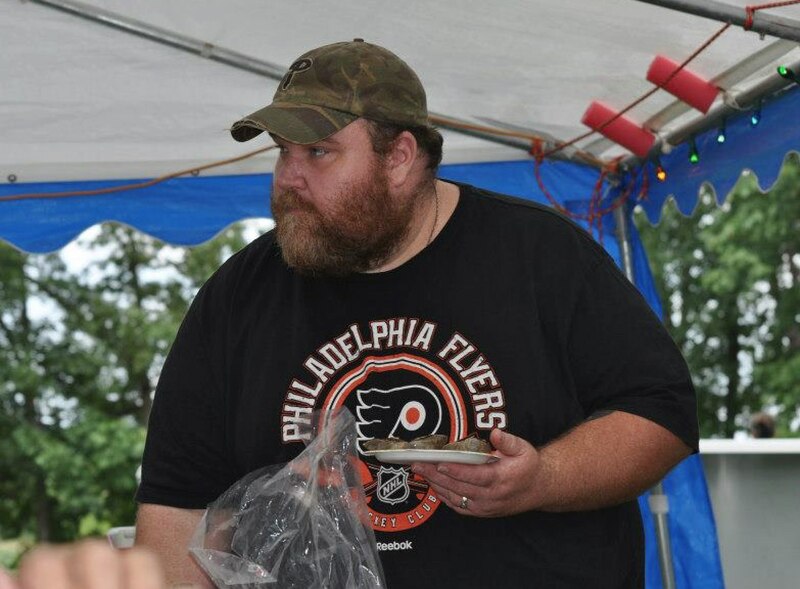 Phil wore a 5XL at the time. Today, 49-year-old Marlo has the highest attendance of anyone at Cloud 9 CrossFit—including Makatura. 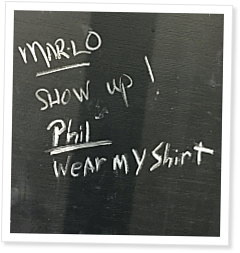 And on June 2, 42-year-old Phil drew a line through “Wear my shirt” on the blackboard to the applause and high-fives of the rest of that evening’s 6:15 class. At her heaviest, Marlo was 530 lb. at 5 foot 9; Phil was 570 at 6 feet tall. Now Marlo weighs 234 and Phil weighs 297. Before starting CrossFit, Marlo had lost roughly 100 lb. through diet, but a three-night stay in a hospital scared her enough to want more drastic changes. “I got an infection,” she explained. It started as an allergic reaction to shampoo. But Marlo scratched her ankle so badly she broke her skin. Her poor circulation wouldn’t let the wound heal. At his heaviest, Phil Brown weighed 570 lb. When she was discharged, she left with six prescriptions. She also found out she was diabetic. Marlo’s health markers—including blood pressure and cholesterol—were “through the roof.” At the time, she worked in the billing department of the same hospital, so she knew what they meant. At the time, Marlo couldn’t walk the entirety of a city block without stopping at least three times to catch her breath. A simple trip from the couch to the bathroom elicited pain. Phil, meanwhile, had been on bipolar medication since he was 18 and blood-pressure medication since he was 25. He had an awful snore and was an undiagnosed narcoleptic. He frequently fell asleep while driving. “I almost ran headlong into a pickup truck,” he said. So when Marlo got her six prescriptions, she was resolute. 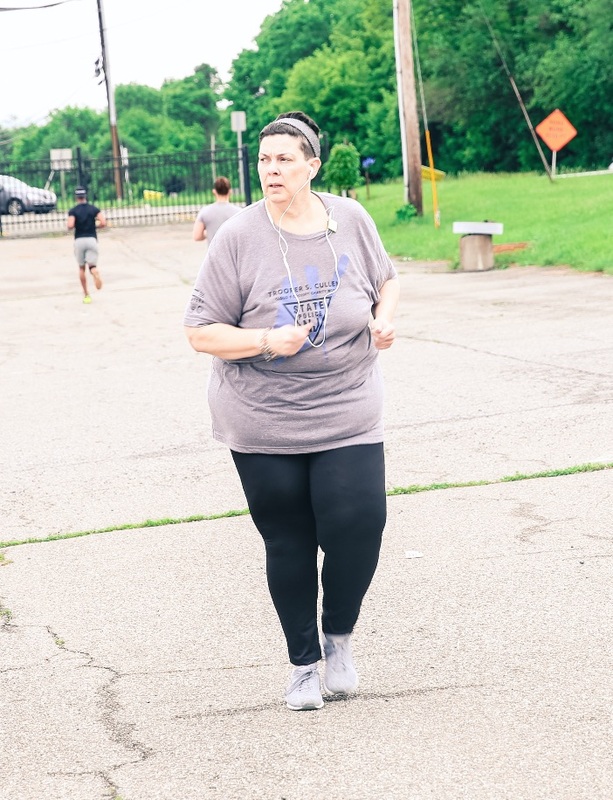 She met with her family doctor, who told her she had to take the diabetes medication, and if she wanted to get off it—and avoid the other five medications—she knew what she needed to do. A year earlier, Marlo had watched her 68-year-old father die of his 10th and final stroke. He suffered from high blood sugar, as well as high blood pressure. After a hospital stay for an infection, Marlo Brown decided to make a change. It was a slow go when the couple first started CrossFit, Makatura remembered. Phil and Marlo could not get down onto the floor, much less get up from it. Running, squatting to full depth, jumping rope were all out of the question. So the Cloud 9 coaches did what every other coach at every other affiliate around the globe does: They scaled for their athletes’ physical and psychological tolerances. Phil and Marlo ran in place instead of running outside, they squatted to a high plyo box instead of getting their hip creases below their knees, they hopped in place instead of jumping rope. For wall-ball shots, they squatted to a box, threw the medicine ball into the air and caught it before squatting again. Phil Brown is now down almost 300 lb. and working on improving his squat. Today, Marlo is running and doing ring rows, and Phil recently got his first double-under after making his first box jump at 10 inches. “I told them, ‘Listen, just focus on that two seconds or that 5 lb. Give me those small PRs because you guys are in this for the long run,’” Makatura said he told them. For the Browns, CrossFit has given them back their lives. No longer must they avoid the booth at the restaurant or shop at specialty clothing stores. “These little things make our day,” Marlo said happily. Marlo Brown has a goal of trading ring rows for pull-ups one day. They could have ended up in an electric scooter with atrophied muscles—like so many of Phil’s relatives—or suffered a long, miserable death at the hands of one chronic disease or another, they said. “Either we would have died from a heart attack or I would have killed us from falling asleep (while driving),” Phil said. “Now he’s wide awake all the time,” Marlo noted cheerfully. 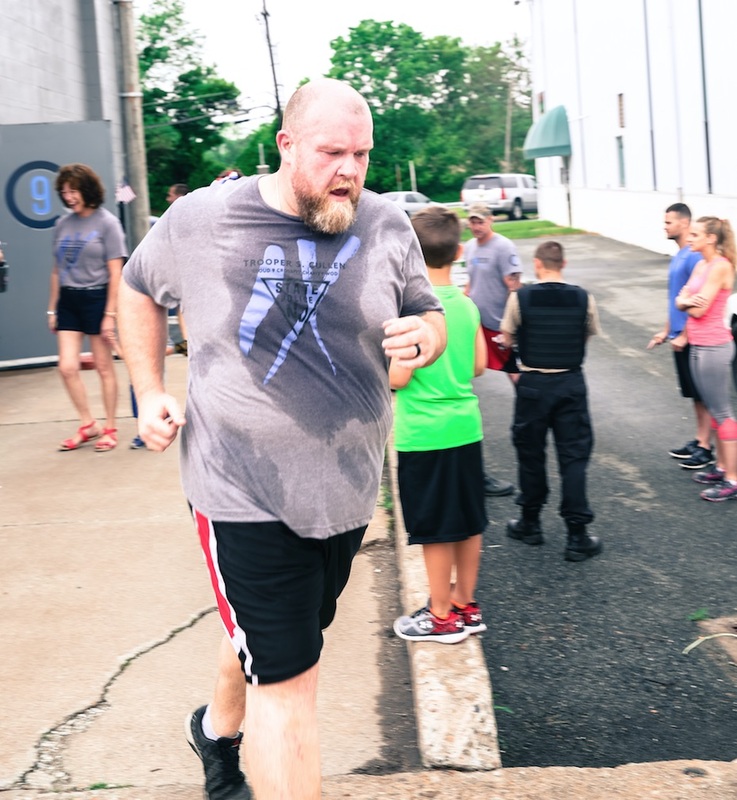 And their CrossFit experience has evolved: It’s now more than just a way to shed pounds. She wants a rope climb and a pull-up instead of those pesky ring rows. Phil is working to improve his squat and recently tried paddle boarding for the first time. 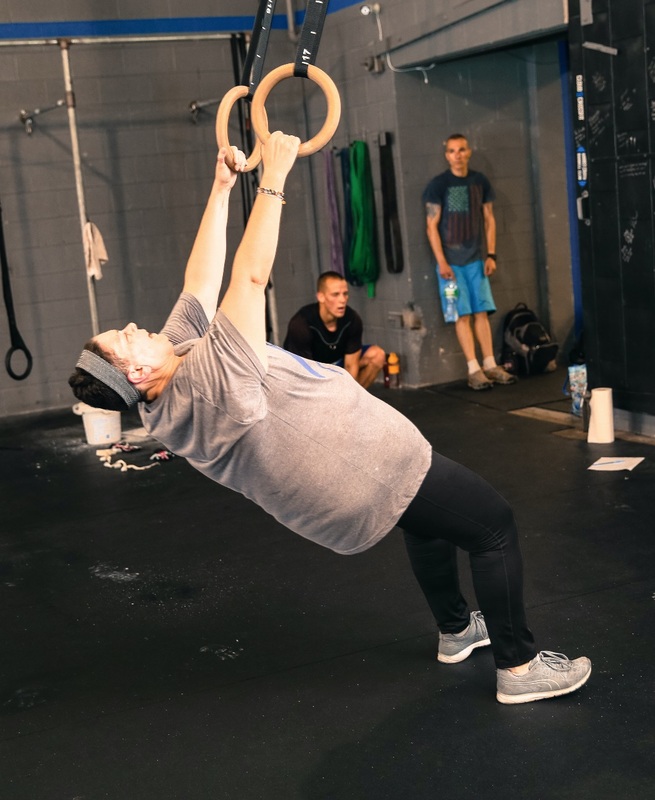 “They’re the epitome of what CrossFit really is,” Makatura said. While CrossFit Games athletes are admirable for their athletic feats, Phil and Marlo have embodied the definition of fitness, he noted. About the Author: Andréa Maria Cecil is assistant man- aging editor and head writer of the CrossFit Journal. After a poisonous snake bite, CrossFit athlete Anthony Kemp treks 45 minutes for medical attention, flat-lines three times, receives 32 doses of antivenin and lives. Pretty sure that there are stories similar to this one... but I'm really interested in how far these two can go. Awesome little article Cecil.